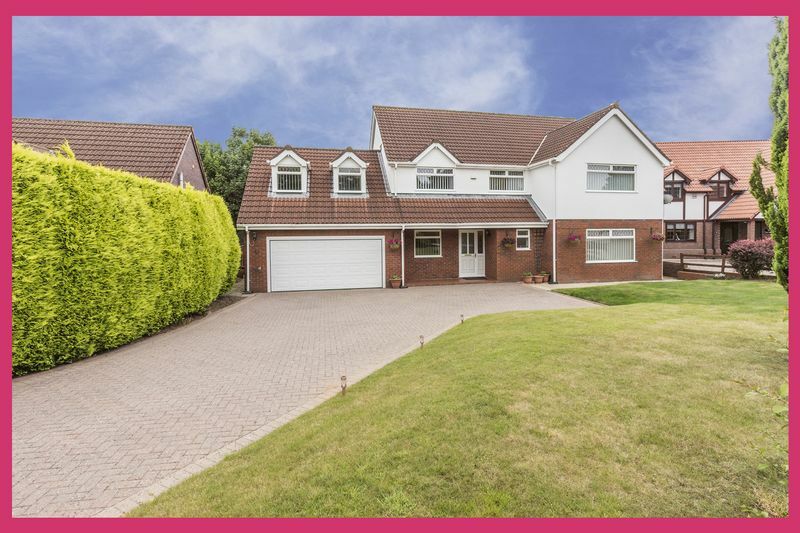 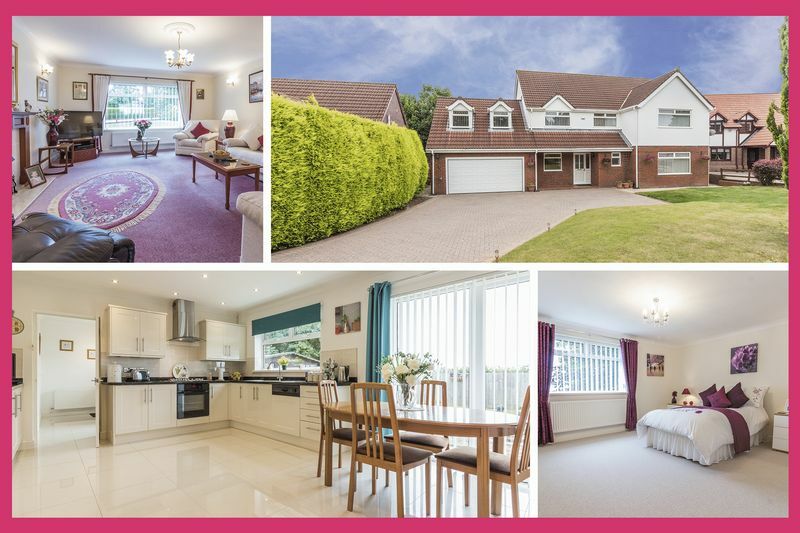 Pinkmove are delighted to offer this one of a kind property situated on Bala Drive in Mount Pleasant, Rogerstone. 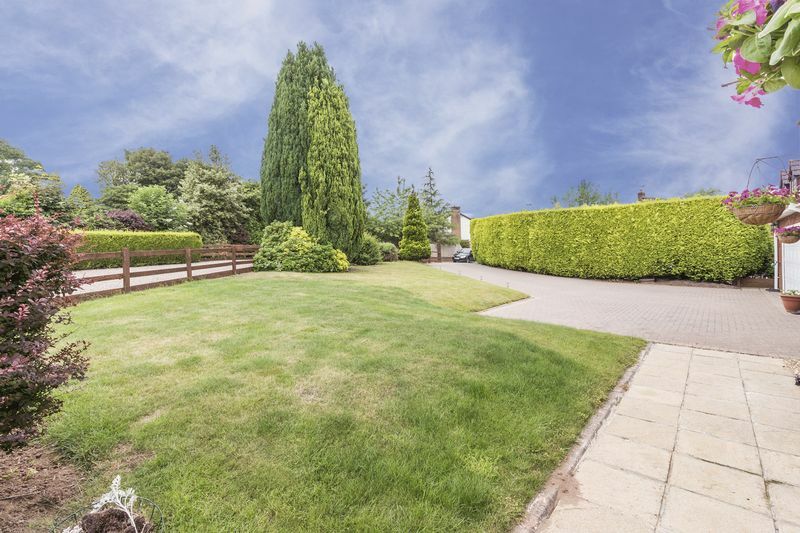 The property has far reaching views across the Usk Valley, up to the Skirrid and across the countryside and is located in a highly sought after part of Rogerstone. 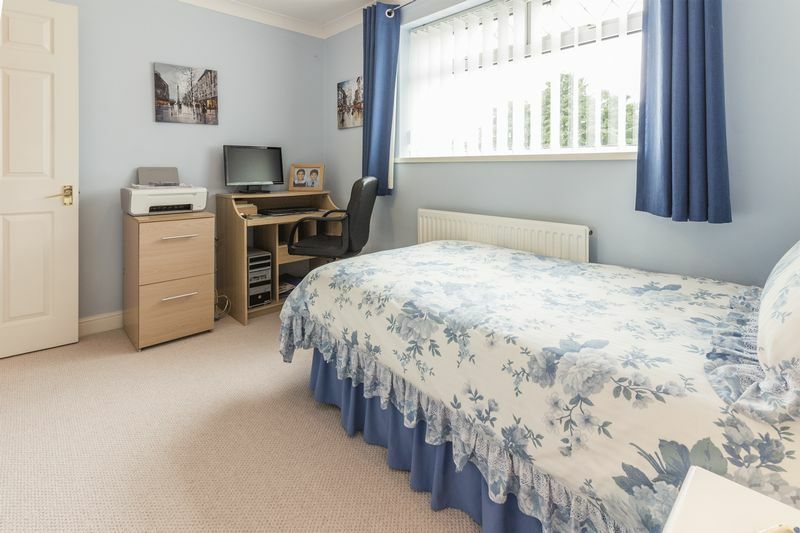 The property is within walking distance to Mount Pleasant Primary School which is one of the best in Newport and also in the catchment of the well-regarded Bassaleg School. 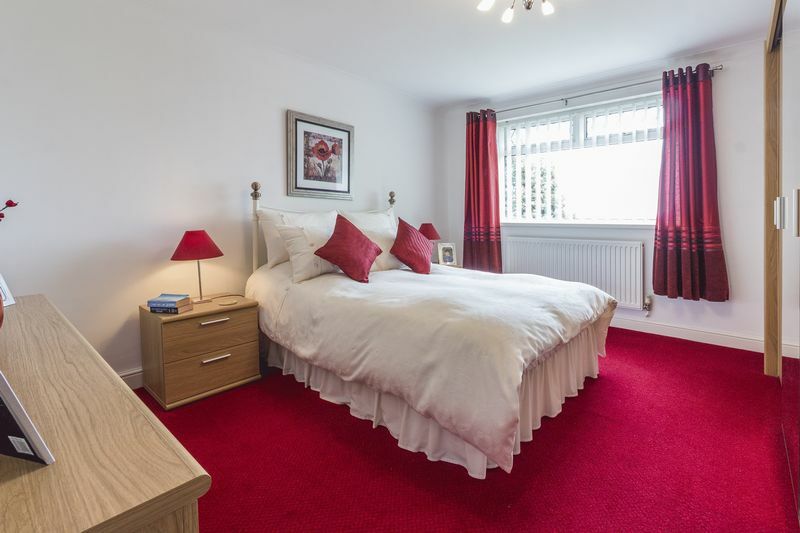 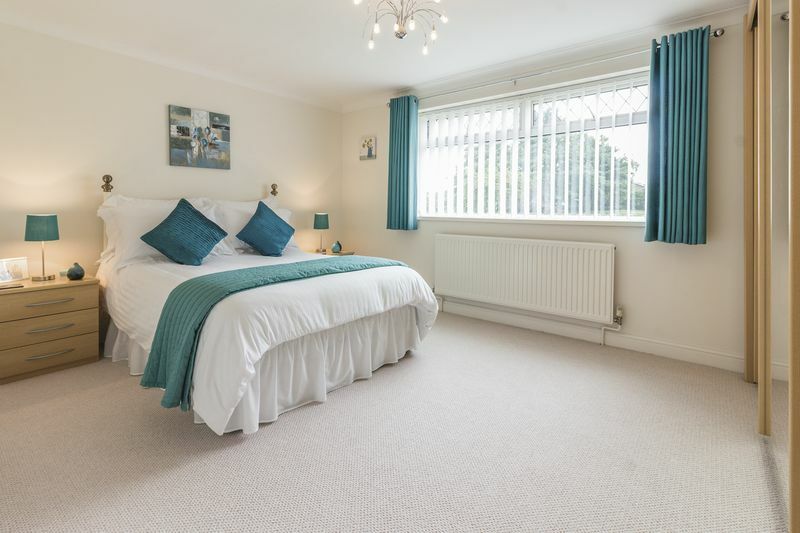 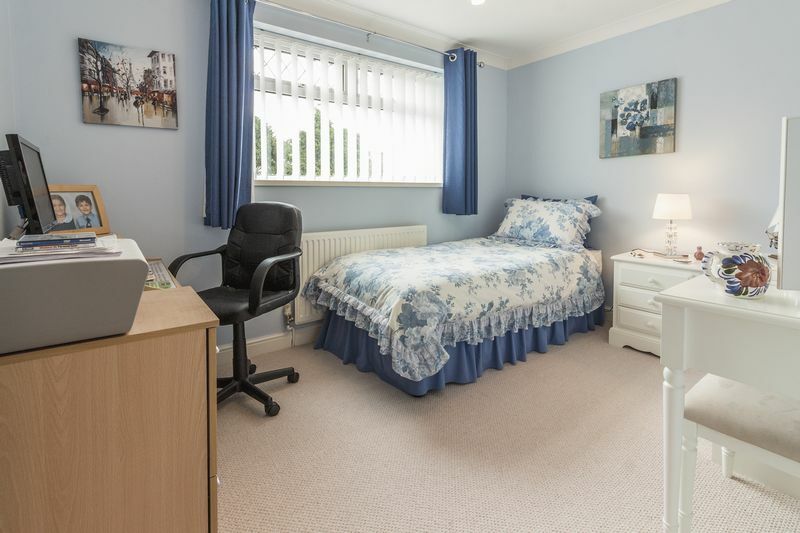 It has excellent transport links with easy access onto the motorway for commuting to Cardiff, Bristol or even further away to London. 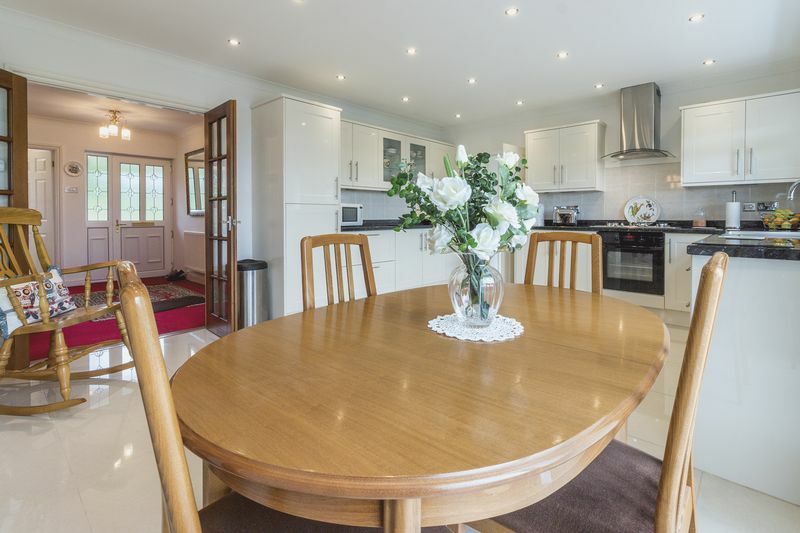 The property is located at the end of a quiet cul de sac street with beautiful views overlooking the front and rear of the property. 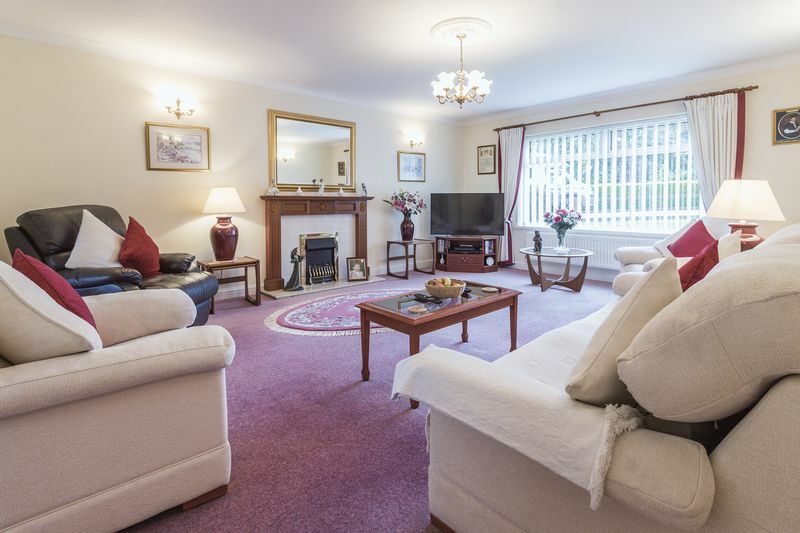 The property is accessed via a long block paved driveway, which provides off road parking for numerous vehicles, to the right of this is a well maintained front lawn surrounded by flowers and shrubbery. 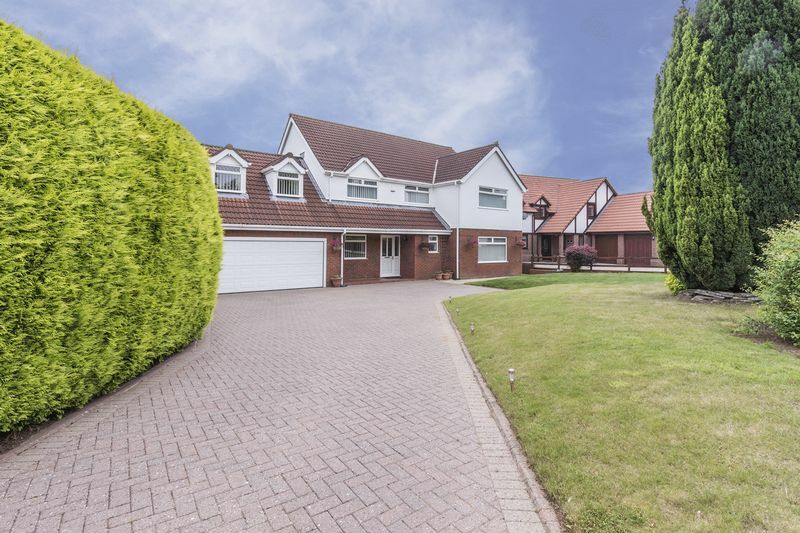 The driveway also leads up to the integral double garage and there is gated side access down both sides of the property into the rear garden. 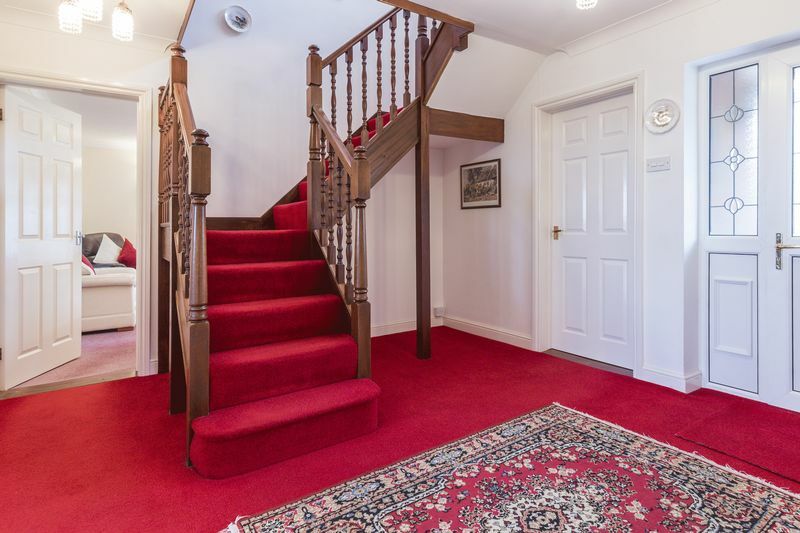 The front door opens up onto the entrance hallway which provides access to all of the main principal rooms as well a central staircase that leads to a galleried landing . 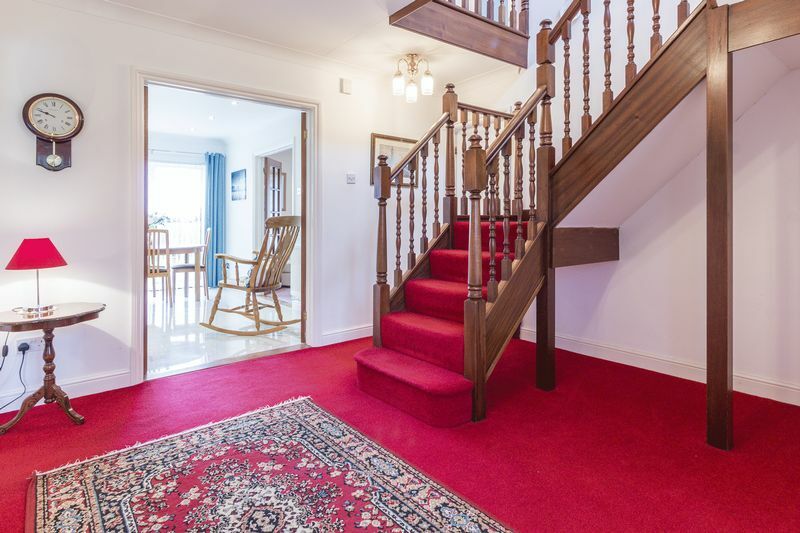 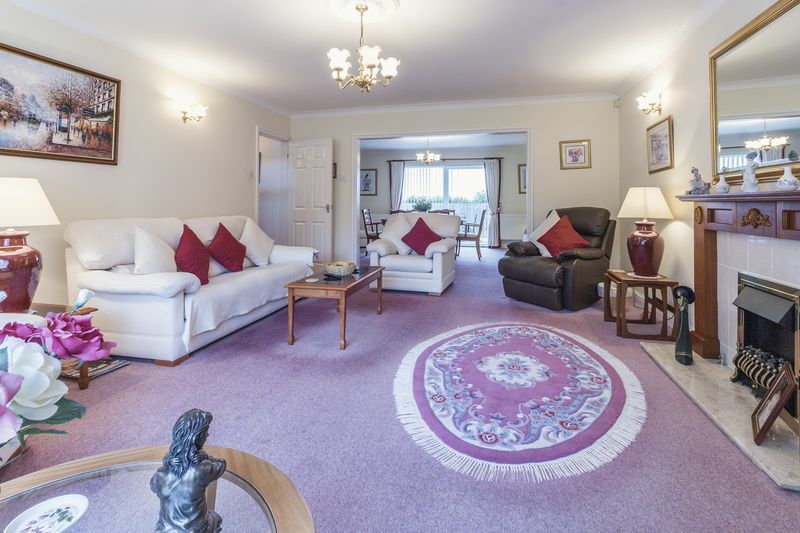 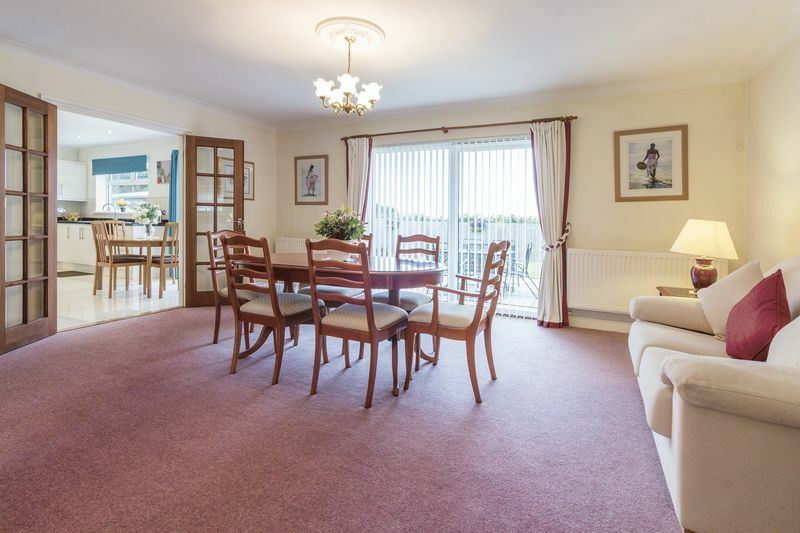 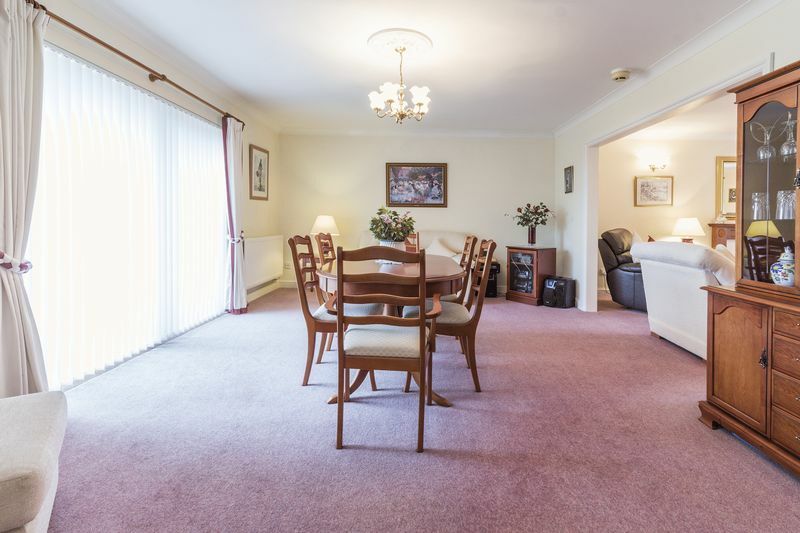 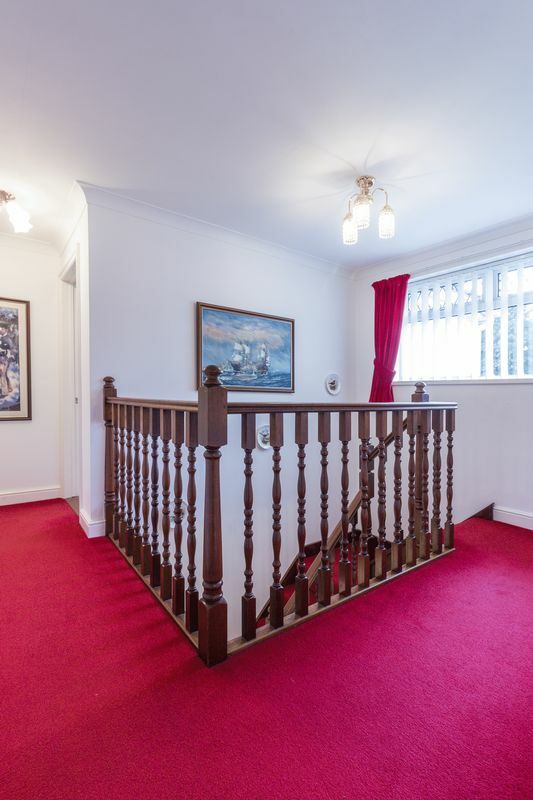 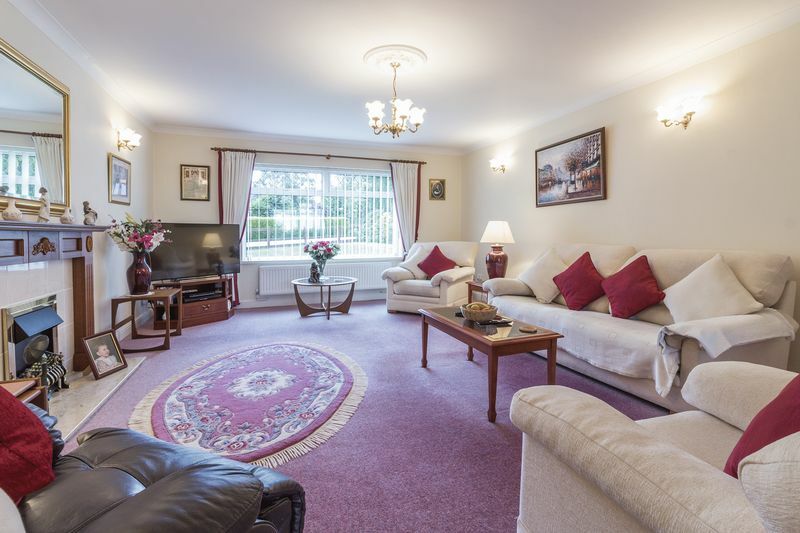 On the ground floor are three reception rooms, the main reception room is on the right as you enter, this is a spacious living area with a feature fire place, it is connected to the dining room through double doors. 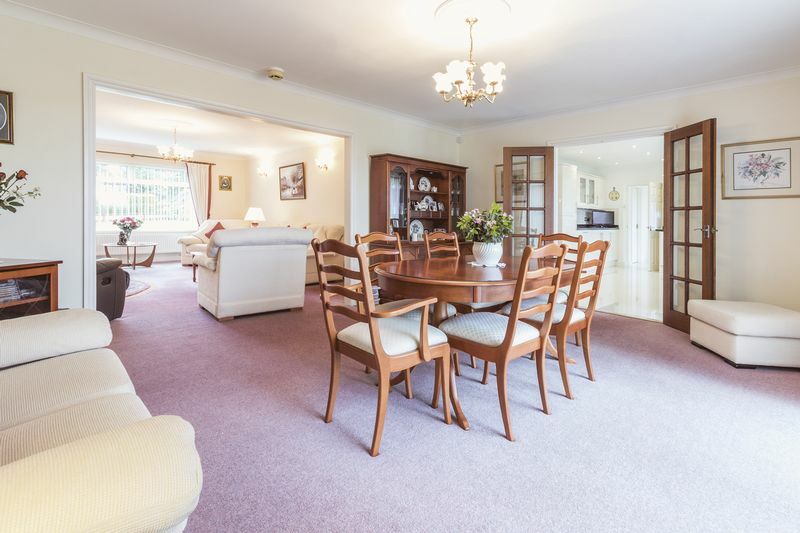 This is a substantial sized room with ample space for a large table and chairs with patio sliding doors out into the rear garden. 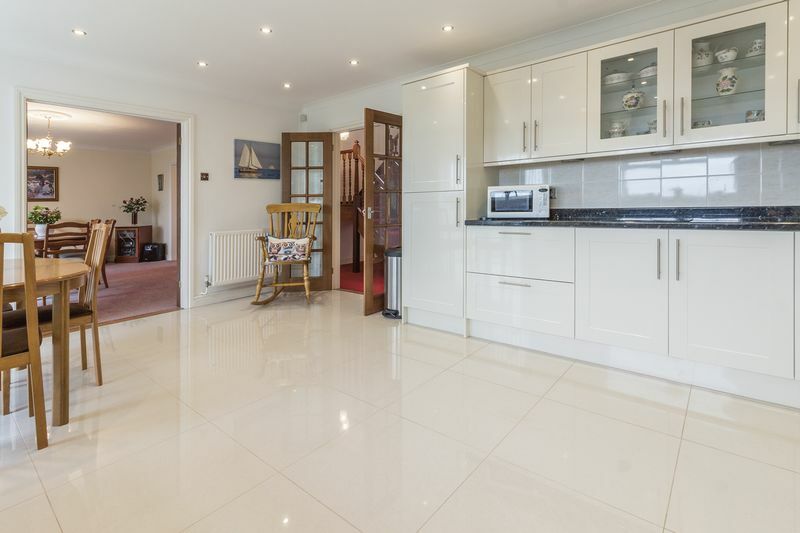 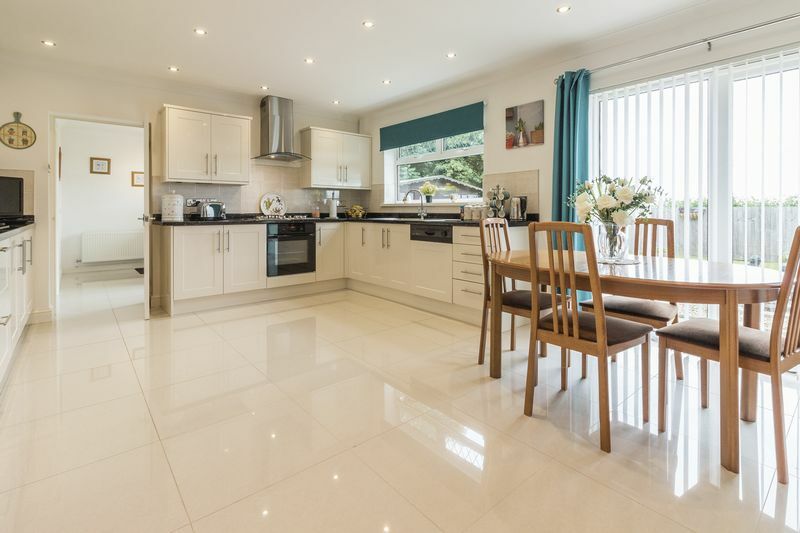 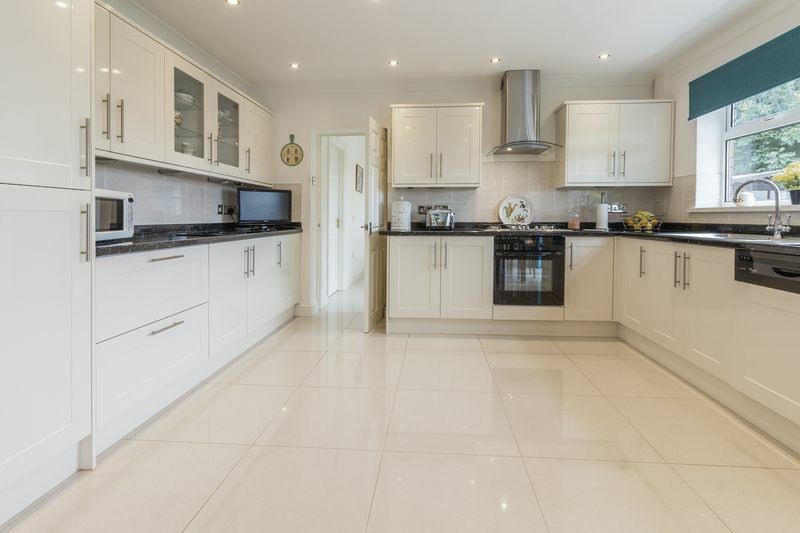 The kitchen is adjacent, this is modern with integrated appliances and lots of unit and worktop space, there is also another patio sliding door out onto the rear garden as well as enough room for a breakfast table. 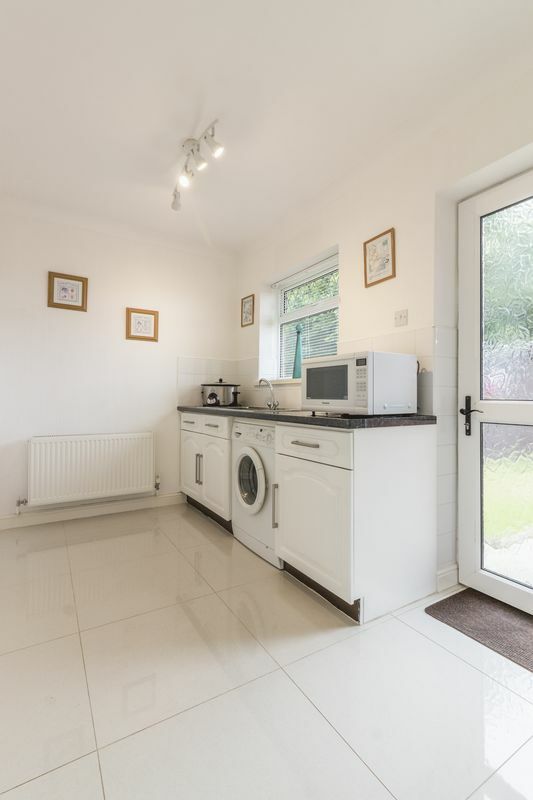 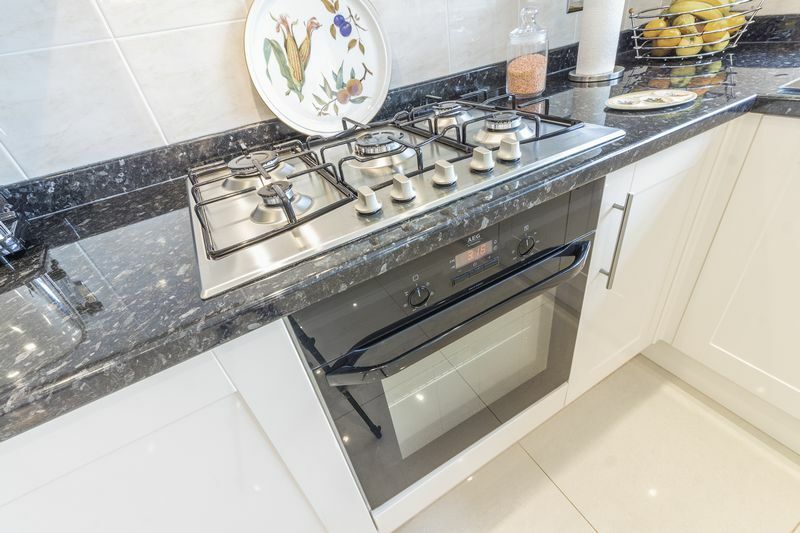 Leading off from the kitchen is the utility room, where there is an additional sink and space for a washing machine and tumble dryer as well as extra storage units. 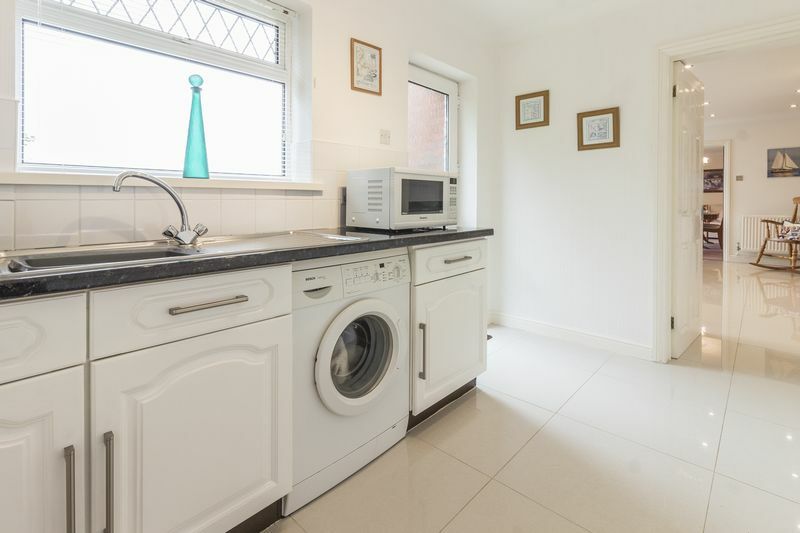 From the utility room is access to the double garage and the boiler room. 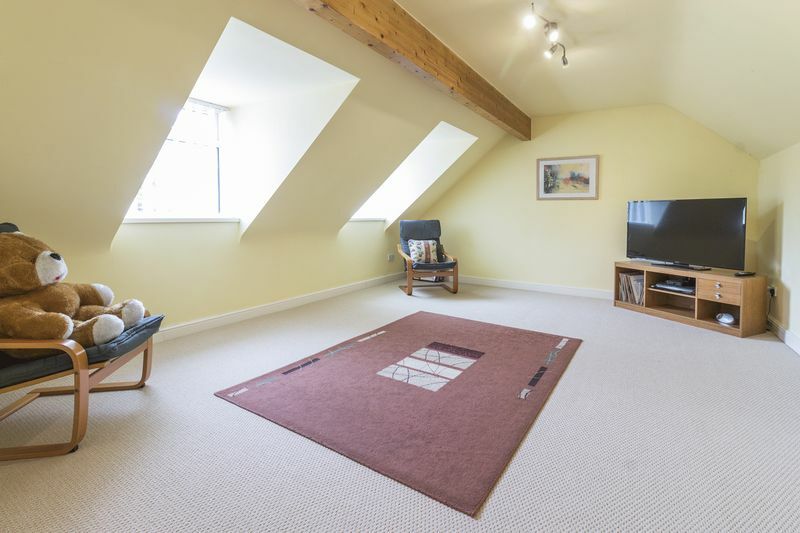 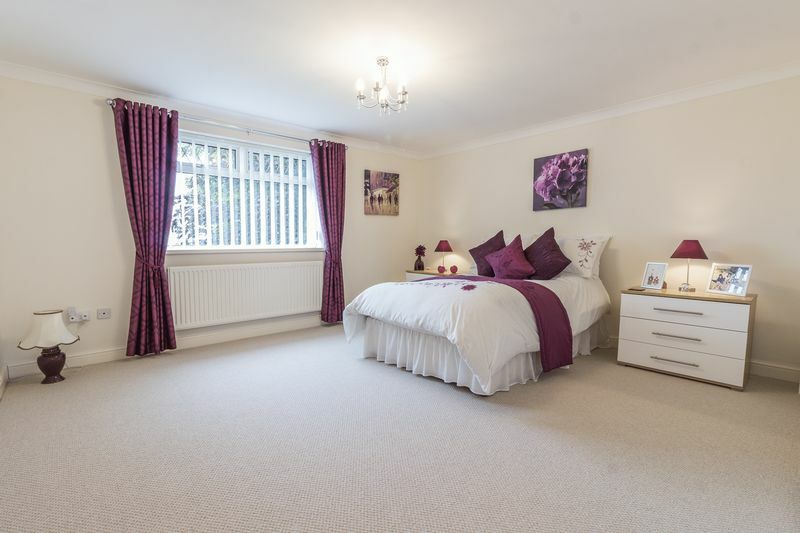 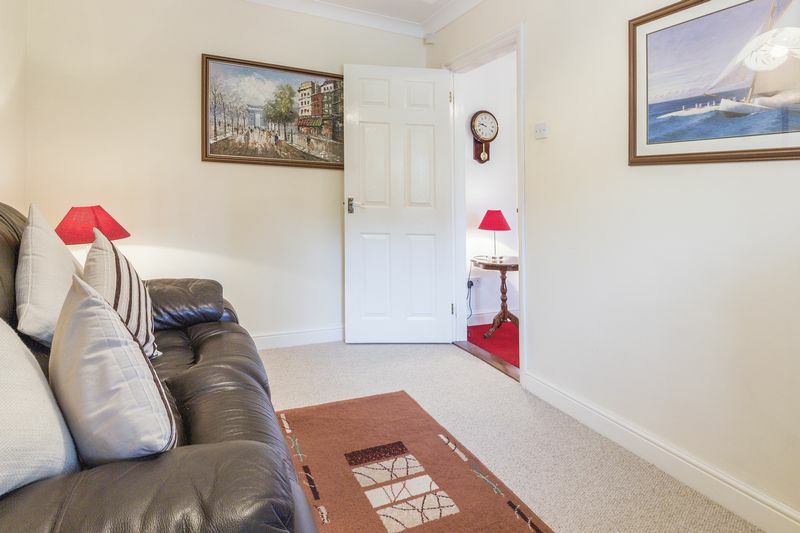 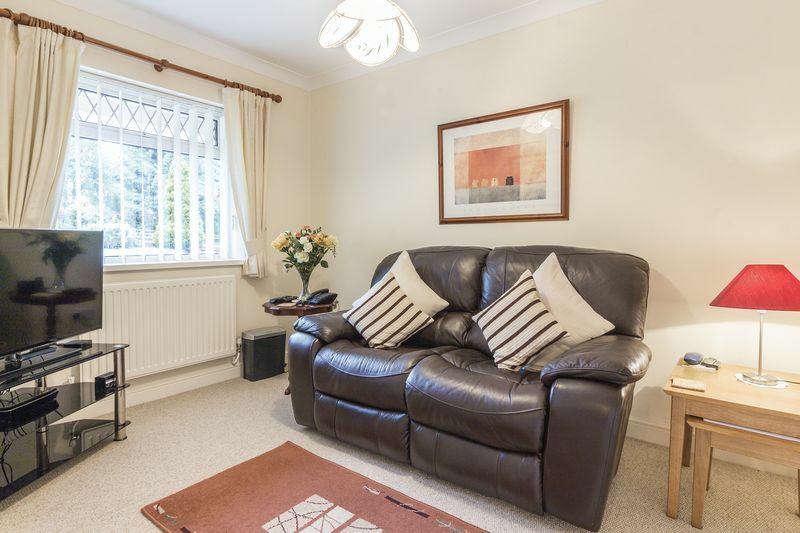 There is also a second sitting room, this is ideal for an office or playroom, with views over the front garden. 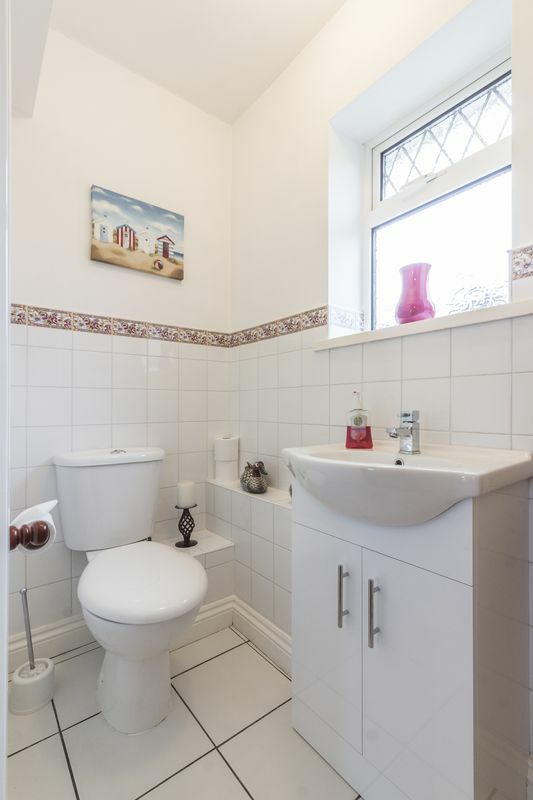 The property also has a useful downstairs cloakroom located just off the hall, and features a WC and hand basin fitted in vanity units. 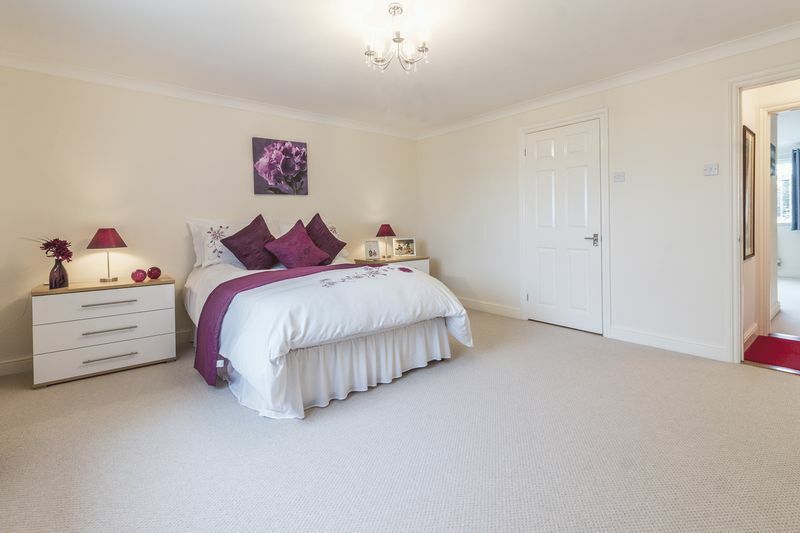 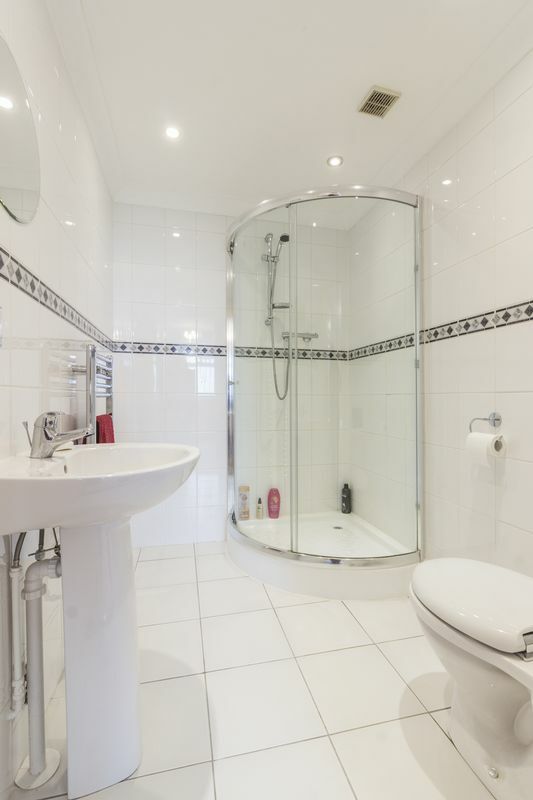 Upstairs in the property you have five double bedrooms, two en-suites and a family bathroom. 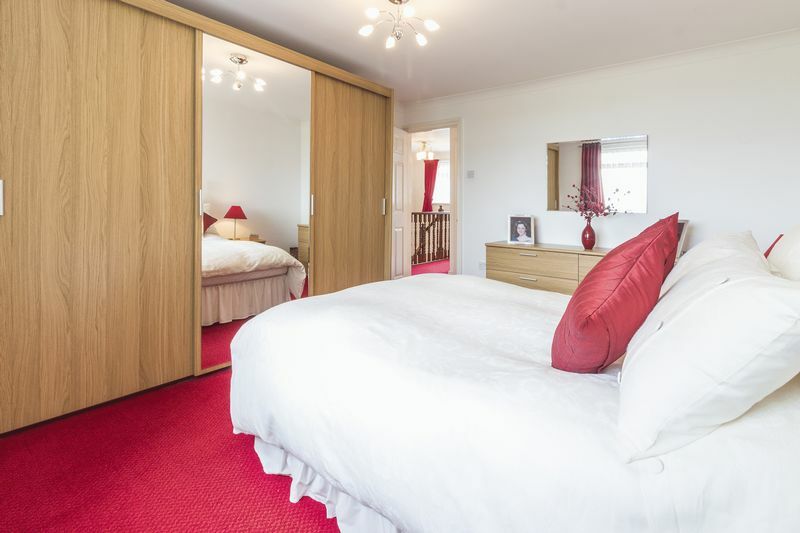 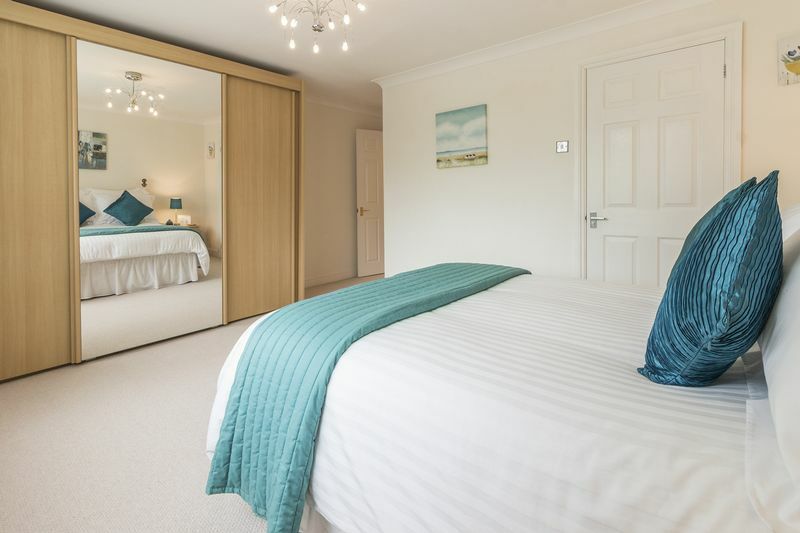 The master and second bedroom are both generous side double rooms with stunning views and en-suite shower rooms. 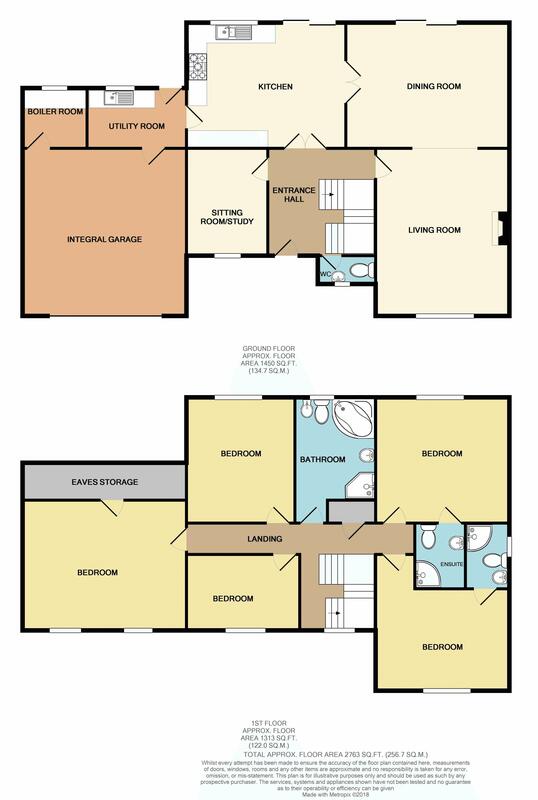 The other three bedrooms are also great size double bedrooms. 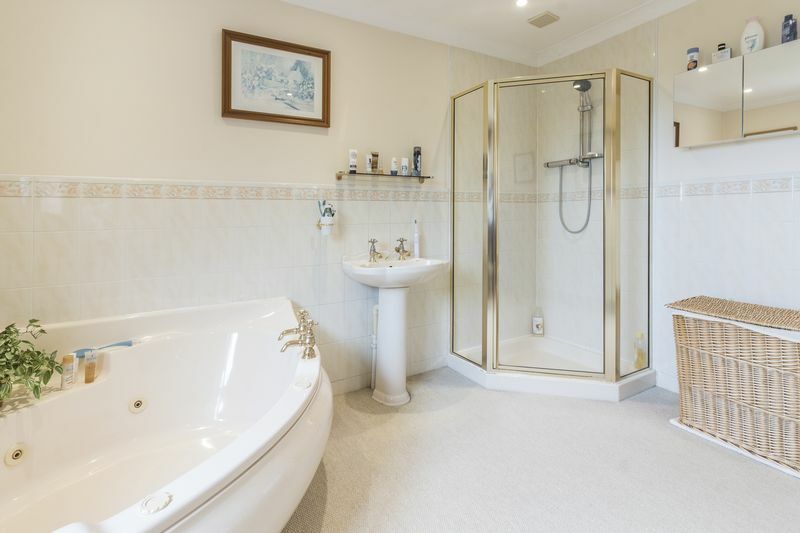 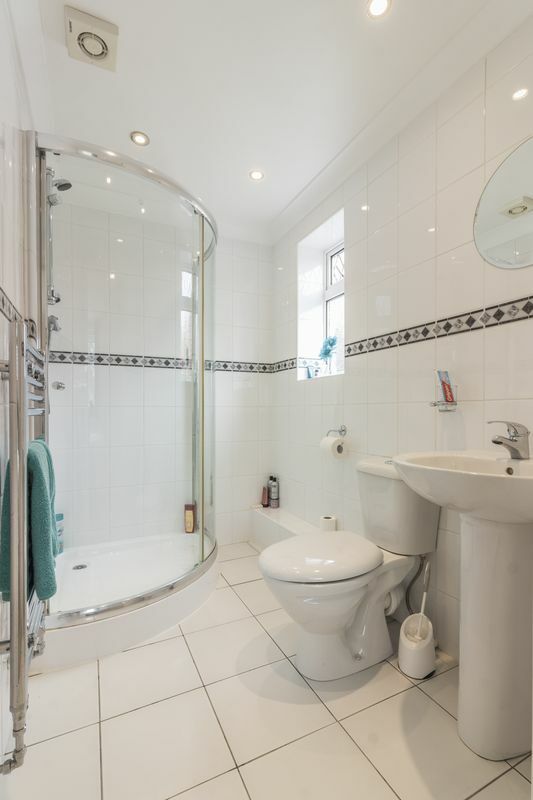 The family bathroom is very spacious with a large corner bath, walk in shower, WC, hand basin as well as a bidet. 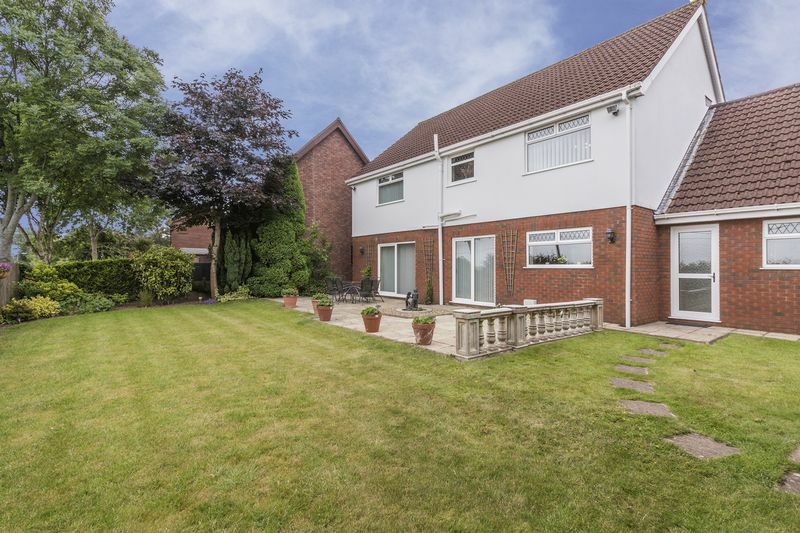 The rear garden is fully enclosed and private, it features a flat lawn area with borders of flowers, plants and mature trees. 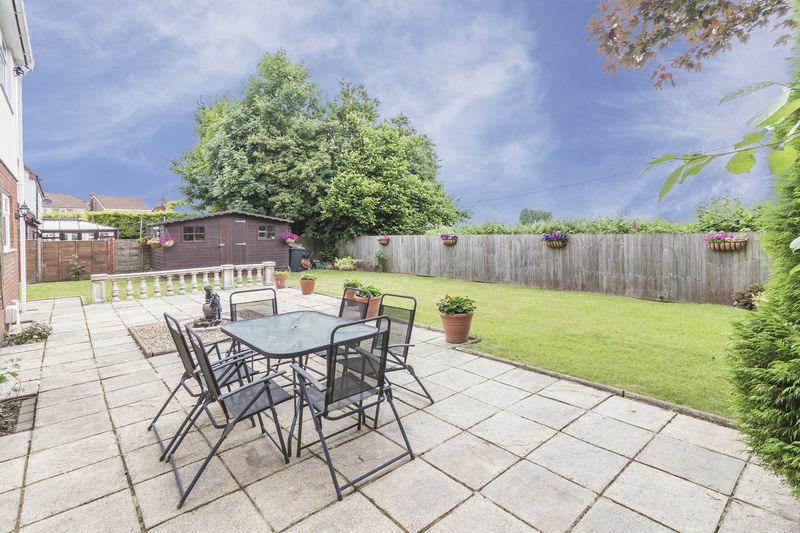 A large patio wraps around the property and is ideal for outdoor dining. 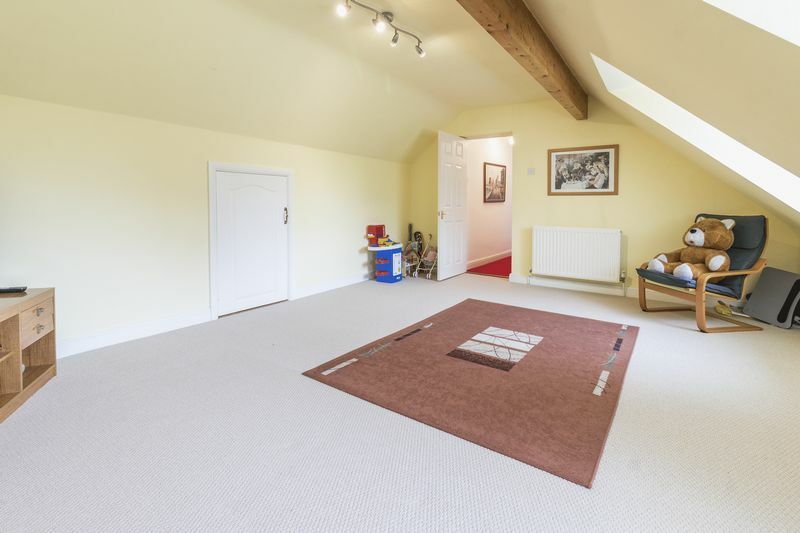 There is also ample space for a garden shed. 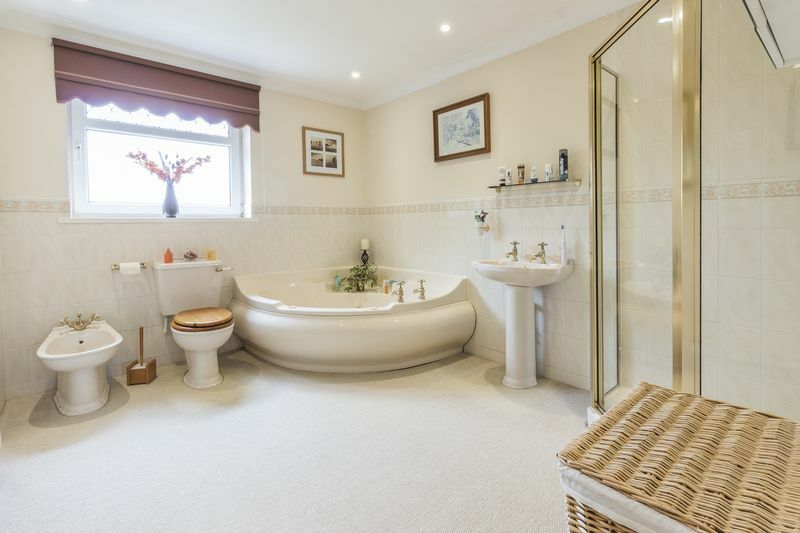 This property will not be on the market for long! 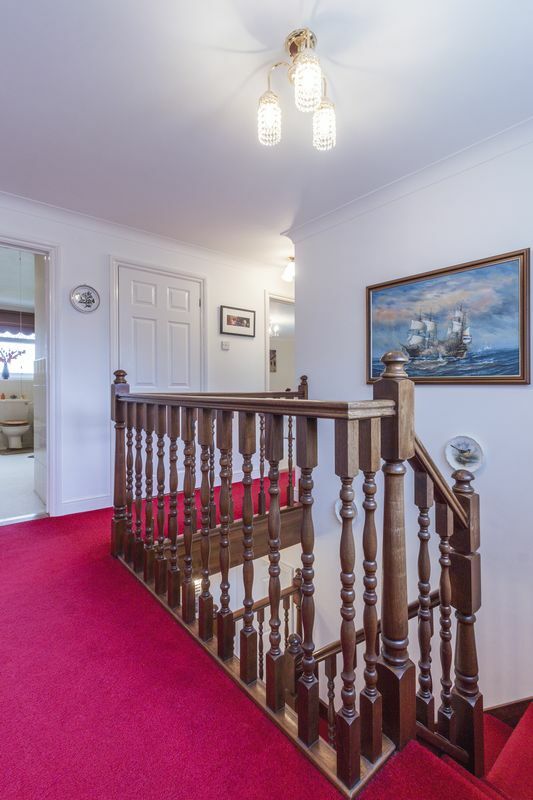 Check out the 3D scan https://bit.ly/2JRPGKk and call the Pinkmove team to arrange a viewing.